The Deluxe Wash Mitt is the perfect pampering tool for your paintwork. 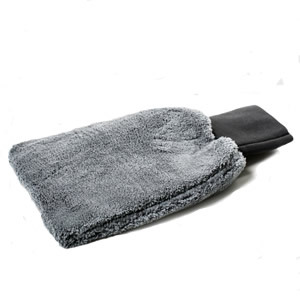 Deep pile microfiber mitt with absorbant inner membrain for holding more wash solution and suds. The open pile allows dirt particles and road grime to be lifted and wiped away safely, whilst rinsing freely. To ensure best results make sure to rinse the dirt off after every panel into a separate bucket of clean water and leave the dirtier areas till last.